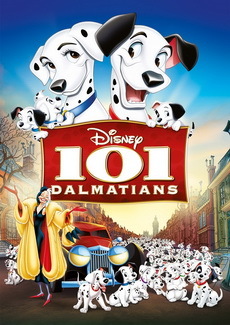 When a litter of Dalmatian puppies are abducted by the minions of Cruella de Vil, the parents must find them before she uses them for a diabolical fashion statement. Pongo and Perdita have a litter of 15 puppies. Cruella De Vil takes a fancy to the pups, and wants to get hold of them, as well as more pups, to make herself a lovely dalmatian skin coat... Cruella hires some thugs to kidnap the pups and hold them at her mansion. Will Pongo and Perdita find them in time ? 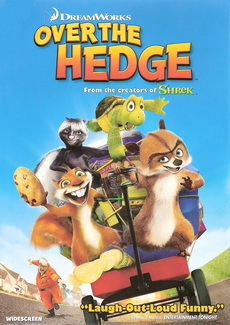 A scheming raccoon fools a mismatched family of forest creatures into helping him repay a debt of food, by invading the new suburban sprawl that popped up while they were hibernating...and learns a lesson about family himself. RJ, a raccoon who needs food, accidentally takes food from a hungry bear named Vincent and he wants his food to be found in exactly the same place in a week. He finally finds that an animal family, with a tortoise named Verne as their leader, could help him restore the food from the suburbia, the gateway to the good life. But little does RJ know, there is a woman who has recently hired an exterminator to try to hunt them down. Oakie, a young blue heeler pup, is supposed to be delivered to Texas, USA, but through a courier bungle he ends up in Texas, Queensland, in Outback Australia. 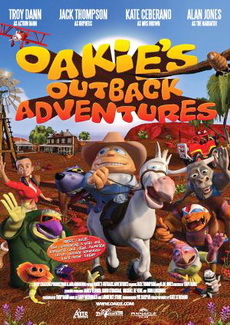 Oakie is quickly befriended by Action Dann (an animated character identifiably based on Troy Dann) and they embark on a series of adventures, meeting many wonderful and quirky characters in the rugged and unique beauty of the Australian Outback. Oakie along with his new friends, relives many of the poems and stories that define the Australian culture. Poems featured in the film include Waltzing Matilda, Mulga Bills Bicycle, The Man from Snowy River and Bush Christening by AB Banjo Patterson and The Loaded Dog by Henry Lawson. This is a timeless story of adventure and excitement with a strong dose of Australian humour, masterfully created to ensure Australian culture and heritage is not lost to the next generation. Intended for families with younger children, this film transcends a healthy lifestyle message and educates children culturally and historically, on elements imperative for the survival of the Aussie way. 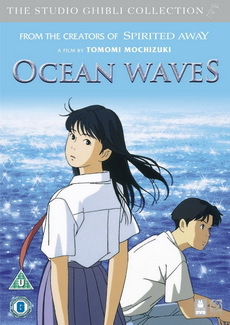 Having lost her mother, Haruka is now a 16 year old girl and feels neglected by her father. 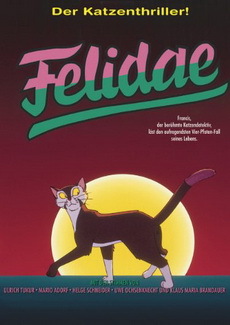 She escapes to her grandmother's house and discovers a fox-like creature who steals her keys. She follows him and is transported into a magical world. "Oblivion Island" is for sure a beautiful animation , starting from its characters represented in the heroine Haruka , her cute friends in oblivion island, and the whole magical idea about the island. 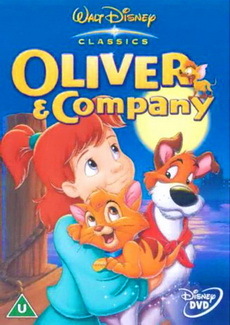 Elliot, Boog and all of the beloved woodland creatures are back in a brand new comedy adventure. Open Season: Scared Silly - opens with Elliot telling a campfire story about the legend of the Wailing Wampus Werewolf that lives in Timberline National Forest. Domesticated Boog is terrified by the story and decides to "chicken out" of their annual summer camping trip until he knows the werewolf is gone. Determined to help Boog overcome his fears, Elliot and their woodland friends band together to scare the fear out of Boog and uncover the mystery of the Wailing Wampus Werewolf. Open Season 3 - Boog's friends rally to bring him home from a Russian traveling circus. - Grizzly bear Boog is geared up for the annual guys' trip, but his buddies want to stay home to spend time with their families instead. So, Boog heads out on his own and lands smack-dab in the middle of a traveling circus. - Boog, Elliot and all their forest friends return with an all-new adventure that is their fastest and furriest yet - this time in a big top circus! When Boog's buddies can't make their annual guys-only getaway, he decides to take a trip by himself. Stumbling across a visiting circus, Boog switches places with a look-alike circus grizzly and takes over his part in the act. But when the circus decides to go back to Russia, it's a race against time for Elliot, McSquizzy, Mr. Weenie and the gang to rescue Boog before it's too late!